I currently have a slight obsession with bright fuchsia/pink pouts. Remember when I briefly told you guys about one of my favorite pink lips achieved with MAC's "Gimme That" lip gloss here? Well I still love that high shine and sparkle pout, but I was on the look out for something a little less on the sparkle side. Less disco if you will. 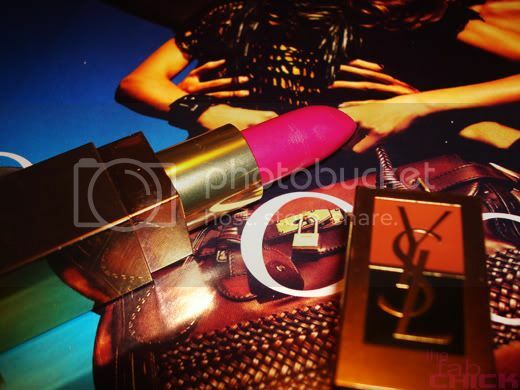 While flipping through a fashion mag, I spotted YSL's Fard A Levres Rouge Pur Pure Lipstick in fuchsia. Jackpot. I immediately knew I had to try it. Well guys, I tried it, loved it, and bought it. This YSL pure lipstick in #19 Fuchsia is now currently my favorite pink lip of the moment. 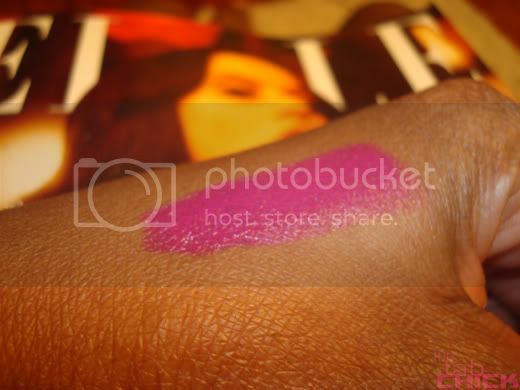 The color provides full coverage and is very moisturizing. It doesn't feel dry at all. I guess I can thank the Vitamin A & E, Carrot Root extract that is in the lipstick formula for giving me a rich and smooth bright fuchsia lip! It's even made it on my spring must-haves list. Now that I'm kind of in love, I wonder what will take it's place next? Hmmm. I agree, its really pretty. Is it matte-ish?